06 Şubat 2019 Çarşamba 14:01 - 11 reads. "A tie in the AD on the hamntvist"
"A dispute in the labour court on the layoffs at the port of Gothenburg can be said to have ended in a draw. Hamnarbetarförbundet had sued the employers ' side about how the term of the employment shall be calculated on call basis (so-called blixtanställda), which has attracted new employers to the business taken over by another actor." "the Dispute concerned two people. In one case, the AD's judgment, the tray the right. 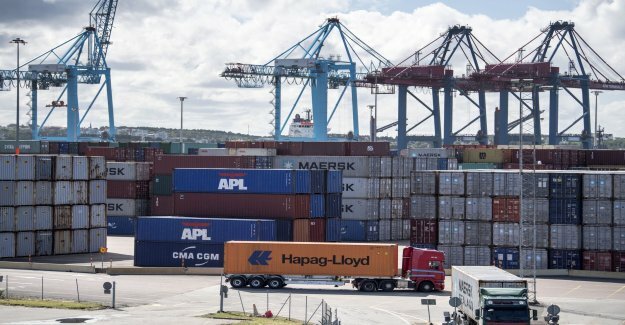 Hamnföretaget Logent Ports & Terminals is sentenced to pay 50 000 sek in damages to the wrongly dismissed hamnarbetaren. In the second case, rejected the unions ' request for damages." "Hamnarbetarförbundet had requested that the AD would bring in a ruling from the EUROPEAN court of justice, but the request is rejected also in the judgment." "the Parties in the case must bear their respective litigation costs."